Buracona is one of the visitors’ attractions in Sal Island of Cape Verde (Cabo Verde). It is an area of lava rocks coast with beautiful ocean view. Buraco is Portuguese word for hole. The hole is also called as Olho Azul, which means “Blue Eye”. As when the sun hits the water inside the hole, it will show the ‘Blue Eye’ reflection. The ‘Blue Eye’ in Sal Island is the light reflection of an undersea cave. 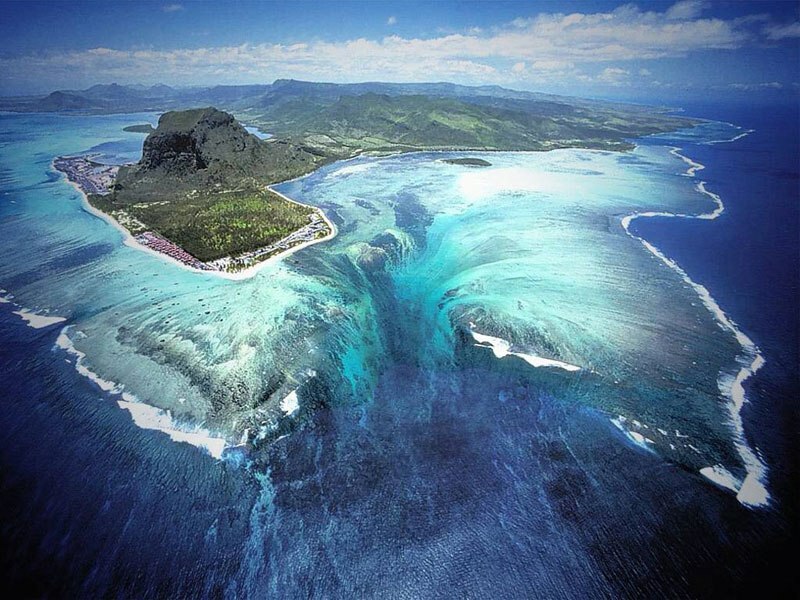 The most exciting part of the area is actually to dive inside its undersea cave to see the sun rays entered the hole. And we did, we were diving through the undersea cave to be finally inside of the hole. Following is an amateur video of our scuba diving experience from preparing the diving until we were inside the Buracona. The video was taken by Dutchie using GoPro and I edited it via GoPro editor. Please click the image to get the video’s page. Feel free to share the video as long as it is credited back to this website. – Water temperature is similar to the rest of the dive sites in Cape Verde: 19ºC-25ºC. We were diving in Buracona twice, the water temperatures were: 22ºC/71.6ºF (June) and 23ºC/73.4ºF (July). – Buracona dive is a cave diving and the divers will spend most of the diving time inside a cave. Following is an image of Buracona’s cave map. The cave has two level entries – separated by huge rock – the top entrance is about 15 meters deep, while the deepest entry is 28 meter. – Additional charge applied in addition to the regular diving fee. The cost may be varied as it depends on the dive center where you booked your dives. – No boat diving. We were driving to the area, it took 30 to 40 minutes drive from Santa Maria. – Be prepare for a rocky landscape to enter the dive site (see the video). Difficult entrance due to choppy and currents, giant stride entry to enter the dive site. – The best time to dive is during the sunny day without clouds to ensure the sun rays enter the hole. – Bring or rent underwater torch as it is pitch dark inside of the cave. – It is advised to have minimum Advance Open Water certificate to dive in Buracona. Buracona dive site is one of the awesome caves we have been diving. A scuba diver should not miss to dive in Buracona when visiting Sal Island. However, cave diving should be done as according to scuba diver comforts and level of experiences. Safety first! Bangka Island Wins the Battle! Nice and clear underwater video.